Hey everyone! 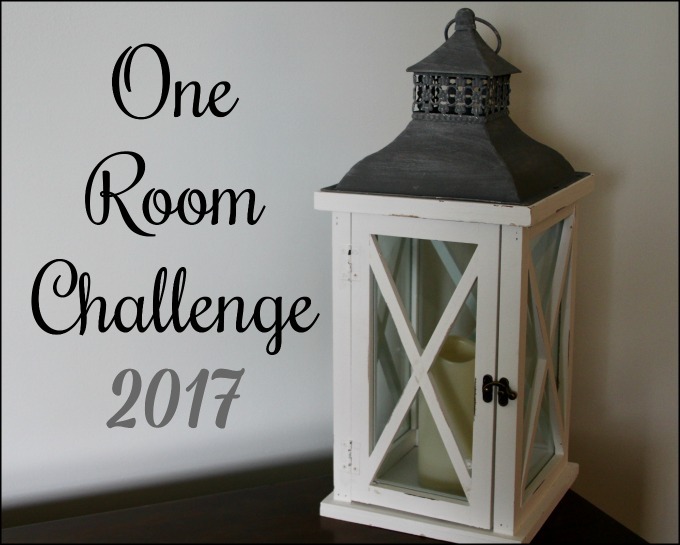 I'm back today with an update on the One Room Challenge. 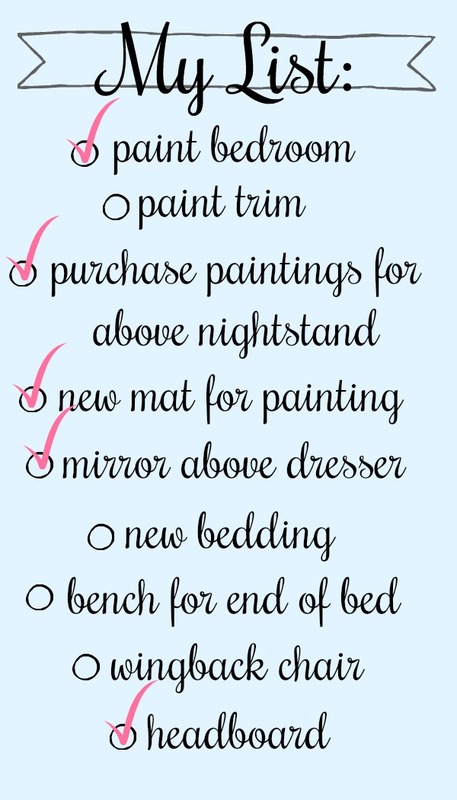 This past weekend I painted our bedroom and holy moly what an undertaking. The room doesn't have very good lighting so it was very hard to see which areas were done and which needed more paint. I ended up doing two coats throughout the room and I can already tell I'll need to touch up some areas. That's on my list for when we paint the trim, which should be interesting lol. We have carpet so I have a feeling the trim is going to be tedious and time consuming. I tried to get a good photo of the paint but it's too dark in the morning before work and then after work there are too many shadows lol. 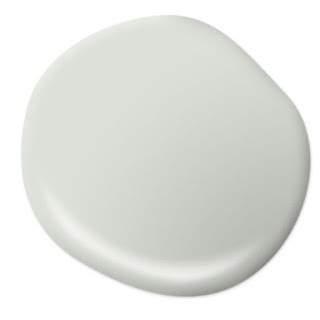 We used Behr's Salt Cellar in eggshell and I really like the color. 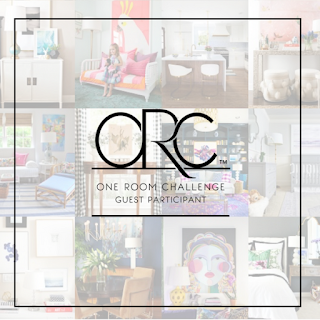 At first, I thought it was pulling too blue but I think with some better lighting in the room, it's going to be great. 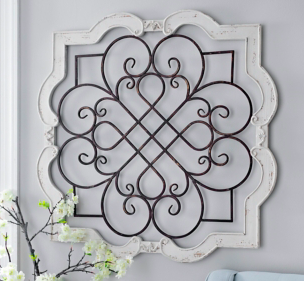 Other than painting, I purchased this wood and metal wall hanging. They don't have the exact one online but this is similar except ours is a gray/ green color. It's going above the dresser (as of now) and I think it will look great when the room is all put together. 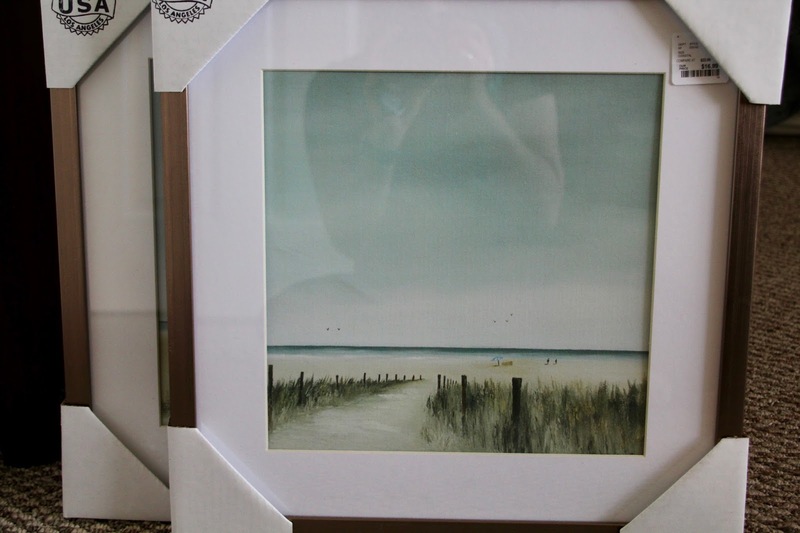 These are the beach/ ocean paintings I purchased form Home Goods. They were only $16.99 each and are going above our nightstands. They are more muted in color than the original pictures I posted about. 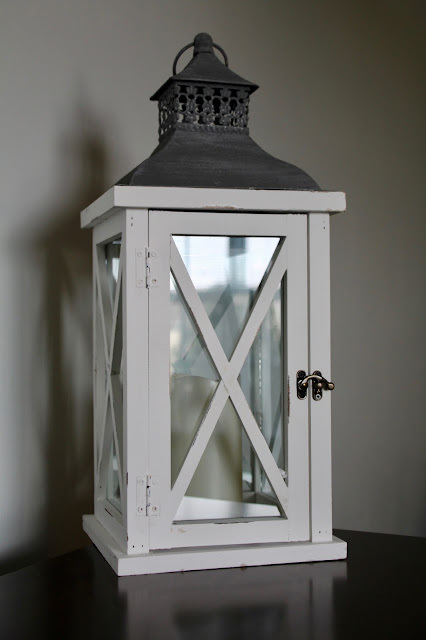 This lantern is also a new addition from Kirklands. They seriously have the CUTEST stuff right now, especially the Christmas decor. I had to show great self-control while in there last weekend and managed to walk away not purchasing a single Christmas item. Although, I have my eye on plenty lol. The room is coming along but I need to make some big purchases soon, including a bed frame (I forgot to add that above). See ya next week for some updates!